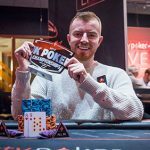 Just a year after UK poker player Jake Cody signed his sponsorship deal with three-dimensional online poker outfit PKR.com, the parties have announced the relationship has run its course. 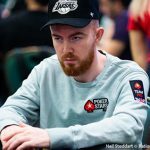 Cody, whose 2011 World Series of Poker $25k NLHE heads-up bracelet, European Poker Tour Deauville and World Poker Tour London titles made him the youngest player to ever don poker’s triple crown, said last year he’d been “patient with sponsorship, waiting for the right deal to come along.” But after a year of flying the company flag at live tournaments, PKR media manager Dan Grant announced that the association “has now come to its conclusion.” Grant called Cody “a huge talent, a class act and a pleasure to deal with.” Cody’s exit leaves just four names remaining on PKR’s pro roster – Marc Barriler, Vladimir Geshkenbein, Sofia Lovgren and Scott Shelley. 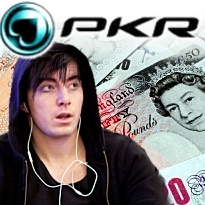 The downturn in online poker’s fortunes are believed to have cut PKR’s revenues by nearly 25% over the past few years, with some observers putting PKR’s sale value at £50m – around half of what it was believed to be worth just two years ago. Compounding matters, costs associated with February’s Italian market launch have reportedly added plenty of red ink to the company’s ledgers. 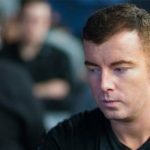 (It’s enough to make one want to swig one of PKR’s new virtual cocktails.) Graham isn’t going down without a fight, mind you. 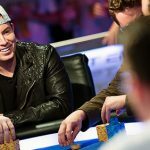 The company has met repeatedly with prospective US partners, including tribal casinos in California, and although no contracts have resulted from all this gripping and grinning, Graham says the next three to six months will be telling. 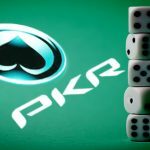 Speculation is rife that PKR could end up being purchased by a US casino that has yet to partner with an online outfit ahead of market regulation in Nevada.